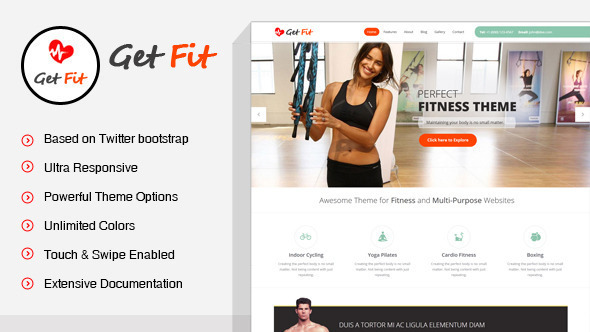 Hi dear visitors I am going to share GetFit template which is of worth $48 dollars, is a powerful responsive gym/fitness/multipurpose premium WordPress theme , built on the Twitter Bootstrap Framework, jam-packed with features. Ultra Responsive GetFit will fit your large desktop screen, all the way down to your iPhone – and of course any Tablet or iPad. SEO (search engine optimization): GetFit is SEO optimized and it follows the latest trends and best practices in onsite optimization. GetFit comes with unlimited color styles, custom widgets, touch & swipe enabled, RevSlider (worth $15) and much more. Extended Documentation – GetFit is super easy to install and setup and comes with an extended documentation, ready to use page layouts and examples, HD video tutorials, 10 PSD designs and much more. DOWNLOAING AND DEMO LINK IS GIVEN BELOW. When You have to Tag External Links as nofollow? Understanding Google’s algorithm for PageRank is really essential in order to rank higher on search engine results. I have already explained that PageRank is not much importantcompared to Alexa Rank. But if you wish to compete well on SERPS then understanding its algo is very important. The entire infrastructure or foundation of Google is mainly based on backlinks. The more backlinks your site have the more its significance increases in the eyes of Google. It is very important to keep a balance between incoming links and outgoing links. Your incoming links are the backbone of your blogs success. Incoming links are links that come from other websites to your blog. When people like your content they will mention you on their site by giving a credit link or attribution link and the more backlinks you receive the more you grow in sense of authority and trust in internet. What are Internal and External Links? Never make the mistake of adding a nofollow link to any of your internal page. Increase the number of inbound links as much as you can so that search robots may enjoy crawling and indexing your pages. External Links are links that point to other sites from you site. In other words when you link to any site on the web you are actually increasing the number of your outbound or external links. Keep external links minimum. Link other webs only when necessary. When should you add a nofollow or dofollow Tag to external Link? If you have observed my PageRank dropped from PR 4.0 to PR 3.0 on first Google Update but just yesterday Alhamdulillah I got back my PR. I can not claim that it took place because of the changes I made but I can assure you the steps I learnt and applied will benefit MBT in future. Its true to say that you learn from your mistakes and I have learnt a lot from some of the mistakes that I made and this is one reason why I am sharing this post today. I was linking all major websites like Facebook and Google services blindly because somewhere I had read that linking major social networks will improve your blog’s relevance and its respect and trust will increase in the eyes of search robots because linking big sites shows that you are writing on something worth sharing and Google always makes sure to promote blogs that provide quality tutorials by discussing products availed by major web services.. But whatever I read earlier was all wrong! because I have personally experienced the pros and cons now. How? Lets first understand what exactly is PageRank and what increases or decreases its value. In layman terms when more and more sites link to you the more your PageRank increases. PR algorithm or in other words the entire Google infrastructure is based on promoting sites that are recommended (backlinked) by other websites with good reputation. Therefore if a site has PR0 it means, that site is not well trusted and does not publish content that can entertain Google users. But if a site or blog has PR > 1 then it means, that site has now some importance in the eyes of search robots. Robots enjoy crawling PR ranked sites several times per day. MBT is Alhamdulillah crawled every single second by Search Spiders. The moment we publish a post the next moment it appears on Google search listings. This is because the more PR you have the faster your site gets crawled. In short more backlinks you have, the better your site gets crawled and the faster your traffic grows. Furthermore you will succeed in attracting sponsors too. That’s what PR is all about. Got PR? Now how to flow the PR Juice wisely? Which links should you tag as nofollow? Google Services such as Gmail, Google+, Adsense, Feedburner, Blogger, YouTube etc. Torrent links, rapidshare links, megashare links etc etc. How To Tag Links as Nofollow? So which links should be tagged as dofollow? In real terminology there is nothing such as dofollow Tag When you leave a link in its original form without adding a nofollow tag then it means that the link is dofollow. The spiders will crawl the link, index it and will count it as an external link thereby sharing your PR juice with that external page that you have linked. So which should be kept as normal? The answer is: All Internal Links/Inbound Links and niche links. Internal links will help spiders crawl your pages more deeply and they will get indexed often. When you link to a previous relevant post, the spider will go and check where the link is taking him thus re-indexing the previous post. This improves your search listings. Niche links can be can not be dofollow. Always give a link to a friend’s blog or to a blog that shares the same content as you do. Of course you are linking to him because you liked his content and you wish to share his content with your readers. This is also a polite thing and more importantly when that person finds that you have linked to him then may be someday he would link to you too as a thanksgiving. Most people make network friends this way. Its big, its exciting and its worth an applause! Blogger finally introducedthe most awaited SEO features for Google hosted BlogSpot blogs. Blogger Team is trying every possible effort to get closer to its biggest competitor Wordpress in terms of development. Its believed that BlogSpot blogs are not well optimized due to limited Search Engine optimization features but with the introduction of Meta Description for individual posts, custom redirection for broken links, nofollow attribute, 404 error pages, custom robots.txt and robot header tagsfeatures, blogger surprised almost everyone today. The problem of wrong post description appearing in social networks like Facebook and Google+ will all be solved thanks to Meta Tags for posts and pages. We will look into each feature one by one so that you may understand clearly the importance of these technical SEO terms. What are the new Search Features? Caution: Out of six new features only two which relate to crawling and indexing of search robots are restricted for Advanced users. I would therefore recommend not to play with them because wrong settings can terribly effect search credibility of your blog therefore keep them as default. 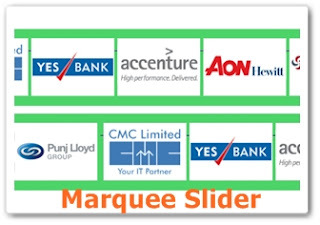 Now here you will see three important sub-sections which we will discuss one by one. Note: You must write the same description here that you have written manually inside your templates. 6. Save your template and all done! Now make it your hobby to write a one line description for every post that you publish. Write no more than 150 characters or 15 keyword phrases. By doing this every new post that you publish will have a separate clean description that will attract more visitors by providing precise description of what you post is all about instead of a chopped random snippet of text chosen by search robot. This will help both robots in better indexing your posts and also Facebook and Google+ to display correct description for your posts. You can write any message inside this box using simple HTML but once you click save changes and see how your error page looks, you will see that it looks dull and grey and appear inside an ugly box. In order to give it a good designed look with custom CSS styles just like ours then kindly wait for my next post. Insert the link of your deleted Post inside From box and insert the link of your new post inside To box. You can create several redirects by clicking the New redirect button. If you are confused where to redirect a deleted page or post then you can simply redirect all broken links to your Homepage in order to flow all PageRank juice there. This section includes two options which are robots.txt and robot header tags. You may not touch the robots.txt option however you can manage settings for robot header tags severed to search engines. All our long techy SEO tutorials that provided solution for optimizing Blogger pages, posts, homepage, archive and search pages can now be implemented with a simple click of a mouse. The above recommended settings will tell search engines to index your homepage and all its content, to index your posts and pages but must not index archives and should also not take description suggestions from Open Directory Project (noopd). Normally, search engines use resources like the Open Directory Project (noopd) and the Yahoo! Directory (noydir) to find titles and descriptions for your content. Generally, you will not want them to do this. The noodp tag prevents them from doing so. What does unavailable_after Meta tag does? Though you wont need them but for understanding we would explain it. Most blogs promote seasonal products by writing posts. If you are promoting a new product offer on monthly basis which would expire the next month then you must tell search spiders to stop indexing the old product posts and index the latest one. This will help spiders to give more importance to your latest posts than old repeated posts. When should you nofollow an external link?